Be it Magic: The Gathering, hearthstone, or some other TCG or CCG, you'll find cards that are laughably unplayable. Some are so bad that they've become memes within their communities. 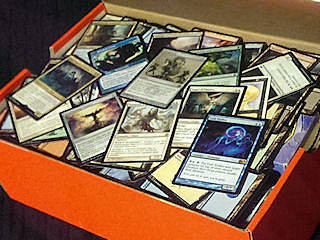 As a player, it can be frustrating when your booster pack's rare card finds a home not in one of your decks, but in that large box of unused cards sitting in your closet. Or, maybe, you think you've found a card with a really cool, interesting effect -- a card you'd love to build a deck around -- only to notice that its mana cost is double what you think it should be. Unfortunately, bad cards are a necessary evil for the TCG/CCG genre, and it all comes down to how complicated it can be to design and balance hundreds or even thousands of cards. Why do Bad Cards Exist? In Magic (or whatever TCG/CCG's) R&D's card-slinging utopia, bad cards wouldn't exist -- after all, what company wants their consumers to associate their product with a feeling of disappointment? In the real world, things aren't quite as simple -- card design is a very complicated and nuanced process, and each individual card, no matter how plain or simple, must be carefully crafted to maintain competitive balance. In a Youtube video, hearthstone's creative director Ben Brode discusses some of those issues, focusing specifically on the the design choices they made with one of the most maligned cards in the game: Purify. That video may not have answered all your questions, but when you look at a card and think, "What were they thinking when they designed this terrible? ", there are three things you'll want to consider: human error, the fact that cards don't exist in a vacuum, and the diversity of play formats. If there's one lesson that Magic R&D has learned over the past two-and-a-half decades it's that they've made mistakes in the past and that they're going to make mistakes in the future. The most notable of these mistakes typically results in an overtuned card, like Skullclamp or Siege Rhino, cards that wind up dominating their respective competitive scenes. Other times, they'll design cards that they think will be powerful, but reality inevitably proves them wrong. One infamous case of this was the printing of Scornful Egotist, a card that costs eight times the mana you'd expect it would. Theoretically, the card was intended to play nicely with cards that played off of expensive mana costs (Riddle of Lightning, for example), but in the end, all players saw in Scornful Egotist was an 8-mana 1/1 dork. You might be wondering how a card could get nerfed so hard during development that it goes from "potentially problematic for competitive play" to "you're reading an article to try to figure out why it's so bad," but don't worry, that's not actually where I'm going with this. Card game designers put a lot of effort into maintaining the delicate balance of their competitive metagames, and while they may want certain strategies to be present, they may not want them to be prevalent. 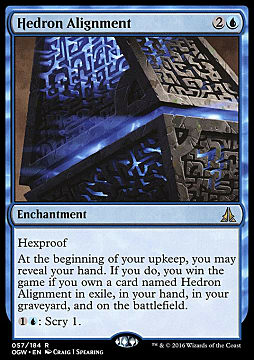 Take Hedron Alignment, for example -- it's a fun win-condition that's strong enough that people have managed decent tournament results with Alignment decks. In a lot of ways, Hedron Alignment is a brewer's dream. 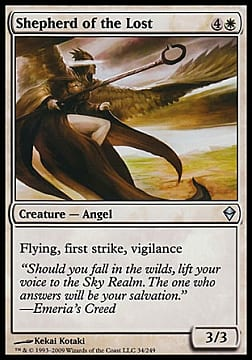 That being said, it's also a very gimmicky card, and as fun as it might be, it'd be pretty format-warping if such an unconventional deck made it Tier 1. What could R&D have done (or might have done) to stop that from happening? Well, they could nerf the Hedron Alignment into oblivion, and it's possible they did reduce the card's power during development -- or, they could cut back on the cards that would support the Hedron Alignment deck. It's conceivable for a card like Secret Salvage to have had its mana cost lowered to 4 without pushing the card into the realm of overpoweredness. However, a 4-mana Secret Salvage might have been enough to push those Alignment decks up to Tier 1.5. That's not to say that Secret Salvage is a bad card, but it's very possible that there are other cards that aren't as strong as they could have been because of the presence of Hedron Alignment in Standard. In MTG, there are two general format archetypes: constructed and limited. In constructed formats, players have all their cards in their collection at their disposal (as long as they're format legal) -- whereas in limited, players only have access to whatever random 45 or 90 cards they open from their booster packs. As such, constructed and limited are vastly different, and R&D spends a lot of effort maintaining both, which means each new set introduces cards for two separate metagames. While a constructed metagame only consists of the cream of the crop, a limited card pool forces players to consider a much broader spectrum of cards. Shepherd of the Lost is an absolute limited all-star, yet it is equally unplayable in Standard, the lowest-powered of all the constructed formats -- there are simply far better options. Now, imagine what a Draft filler card might look like to a constructed-only player. 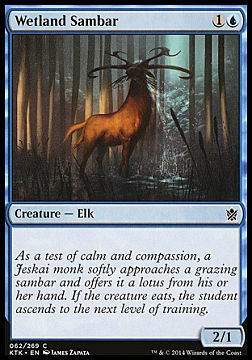 You wouldn't even find a card this "bad" in one of WotC's preconstructed decks, and those are notoriously underpowered even for casual constructed play, yet Wetland Sambar has seen a good bit of use in Khans of Tarkir limited. And that's not to mention the loads of unsanctioned formats the game has, like Commander, Cube, or Penny Dreadful, all with their own unique card pools. The reality of the current state of TCG/CCG design is that there's no way to avoid "bad" cards when the designers have to juggle so many different cards for so many different formats and metagames. It can be particularly tough on paper card games, like Magic, where R&D has no realistic way of nerfing cards after they've been printed, forcing them to be more conservative with the power level of their cards. However, if you start opening up to other formats of play, you might find that a lot of "bad" cards do have a place in the game -- and that they may actually be quite playable in those formats.